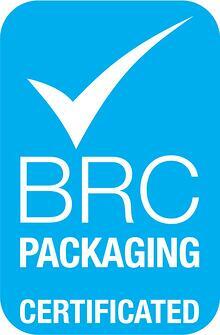 BRC Global Standards for Packaging and Packaging Materials is the first standard in the world to be recognized by the Global Food Safety Initiative (GSFI) benchmarking committee. It ensures all certified organizations develop safe, legal, high-quality packaging materials that exceed customers' expectations. To meet the BRC's standards, our personnel, facilities, product safety and quality, risk management systems, site standards and process control are audited to make sure we adhere to the set requirements. 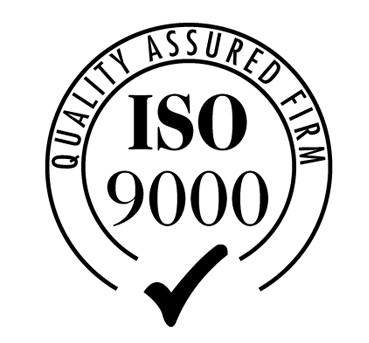 All of our supplied packaging is ISO 9000 certified, meaning we consistently adhere to set standards and continuously work to improve the quality of our products. Internal audits and expections allow us to gain certification by the International Organization for Standardization, which defines, establishes, and maintains an effective quality assurance system for manufacturing and service industries. Learn more about how our customers guarantee quality assurance with their packaging on our blog. 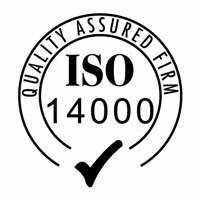 The ISO 14000 is a series of environmental management standards set by the International Organization for Standardization. The guidelines set by the organization help us systemize and improve our environmental management efforts, including lessening the negative impact on our ecosystem and continually complying with laws and regulations to help improve resource efficiency, reduce waste, and drive down costs. By meeting the ISO 14000 standard, we have made it our commitment to manage our resources more efficiently and improve our environmental performance. The Food and Drug Administration is responsible for protecting the health of the public by regulating drugs produced for human or animal consumption. The FDA overlooks substances added to food, along with how it is processed, packaged, and labeled. We've made it our commitment to ensure our packaging and customers' products remain compliant with the regulations set in place by this federal agency for the health and protection of all stakeholders. Our flexible child-resistant packaging is certified with the ASTM D3475 standard by ASTM International. This classification scheme defines the type of motions, skills, or tools required for a particular type of child-resistant package. This signifies that our specially developed childproof, tamper-resistant bags fit the standards and qualifications to ensure young consumers are unable to open the packaging and consume the potentially hazardous products inside. 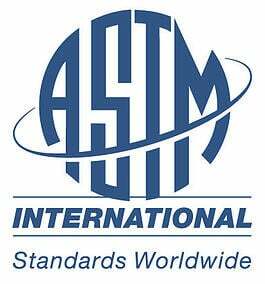 ASTM International works to improves the lives of millions every day, and this particular standard helps keep children and their families safe. The Institute of Packaging Professionals serves to provide networking and educational opportunities for anyone in the packaging realm. The IoPP unifies its members, the packaging community and society by creating occasions for connecting and learning that are enforced by high quality standards. As a member, we are able to meet and form relationships with other industry leaders and peers while participating in learning opportunities that help our organization grow. The Contract Packaging Association is a gathering place for contract packagers, suppliers and end-users. The CPA allows us to connect with brands in need of superior and efficient packaging solutions on an as-needed basis so they can effectively stand out in a crowded marketplace. Learn more about the contract packaging industry in our eBook or by tuning in to our on-demand webinar discussing co-packing and contract manufacturing. The PLMA is an international trade association of more than 3,200 manufacturers and suppliers of store brand food and non-food products to supermarkets, drug stores, and mass merchandisers. The association has allowed us the opportunity to attend industry trade shows, providing us with takeaways and insights that have assisted us in helping our clients build their brands through the most innovative technology solutions available. Check out our review of a previous PLMA event and three lessons we learned about flexible packaging and food branding on our blog: Branding Food – What The PLMA Show Confirmed For Me – A Review. The National Animal Supplement Council strives to manufacture the best animal health supplements across the globe. Regulations for the manufacturing and sale of supplements for cats, dogs and horses is vastly different from the rules set in place for human vitamins and supplements. As a response, the NASC was founded to help brands navigate the marketplace while maintaining compliance throughout the supply chain. We have earned the NASC Preferred Supplier label, indicating our commitment to adhering to standards set in place for raw material suppliers, manufacturers, testing labs and quality service providers. Learn more about the NASC and our membership in our complimentary webinar with two influential NASC board members. Members of the Sustainable Packaging Coalition focus on discovering new and innovative technologies to make stand up pouches and other forms of flexible packaging more sustainable. Through an application process, we were approved and confirmed as a member committed to providing packaging that ensures our customers' commitment to sustainability and clean labeling remains consistent. Our packaging plant has one of the world’s best R&D departments for discovering new and innovative technologies to make stand up pouches and other forms of flexible packaging more sustainable. We are working closely with the SPC and GreenBlue to provide additional resources on eco-friendly practices to our audience as we advance our research into more environmentally sound packaging solutions. Learn more about our recyclable, landfill-friendly packaging solutions here.